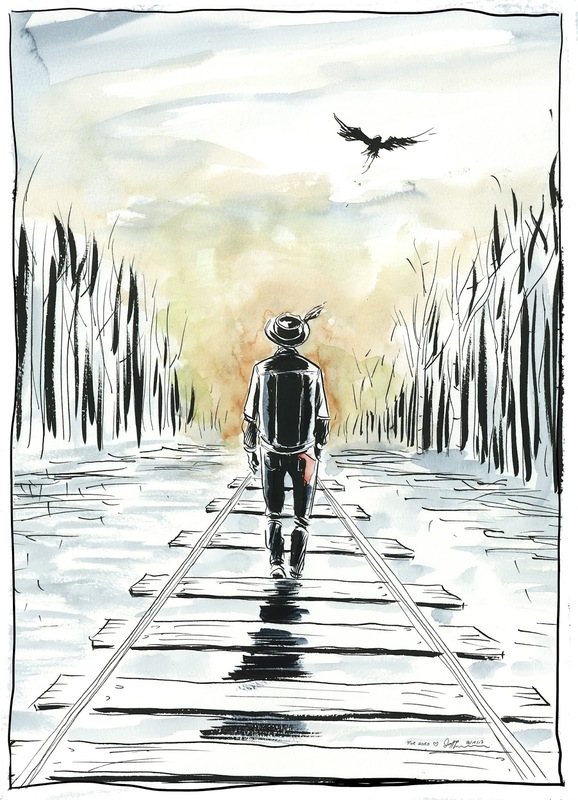 Jeff Lemire's Blog: For Gord. I met Gord Downie about four years ago. 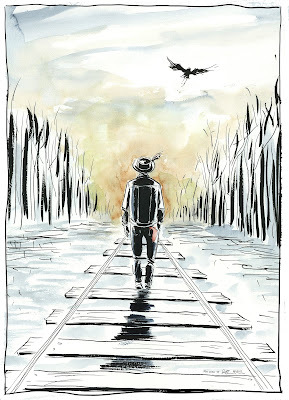 He and his brother, Mike treated me to coffee near my studio in Leslieville and they told me about Chanie Wenjack. I had never heard of Chanie Wenjack. Chances are neither had you. I was immediately moved by Gord's warmth, passion and humour. We started working together immediately. He would visit every couple weeks and I would show him my drawings. We would laugh and talk and somewhere in there, there was even a 400km snowmobile ride in arctic temperatures, a hockey game in a hotel room in Timmins, and because of him I finally got to fulfill my teenaged dream of joining a rock band, even though I can't play any instruments. He had a way about him that made it feel like we'd known each other for years. I miss him now and I will always miss him. We became friends. More than friends...we created something together. And art never dies. Join Jeff's mailing list for news, updates and exclusive behind the scenes artwork! Be Alerted of New Posts!